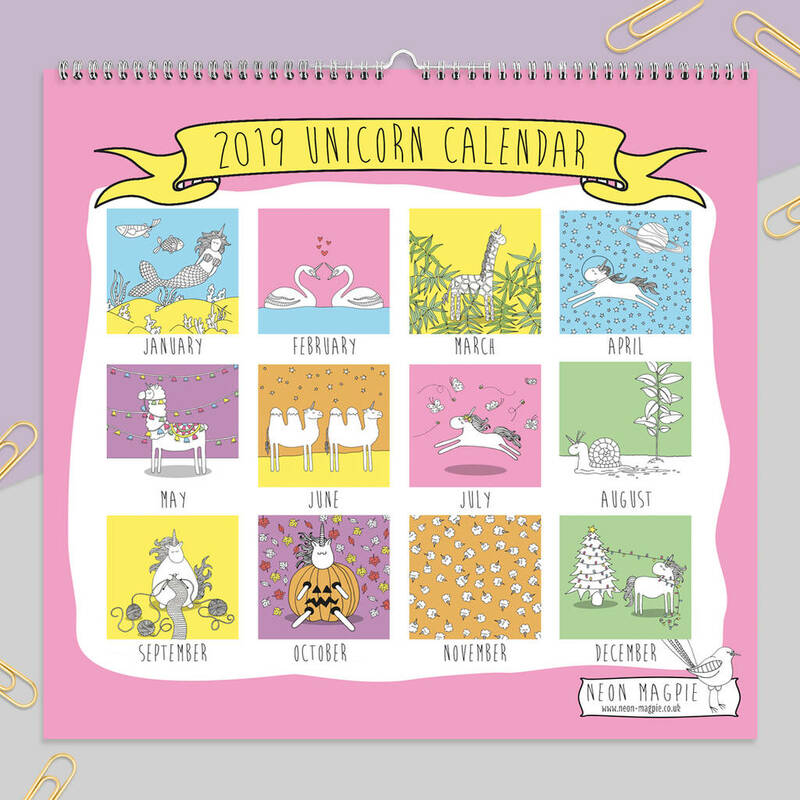 This 2018 unicorn calendar features unicorns taken from our alphabet unicorn range. 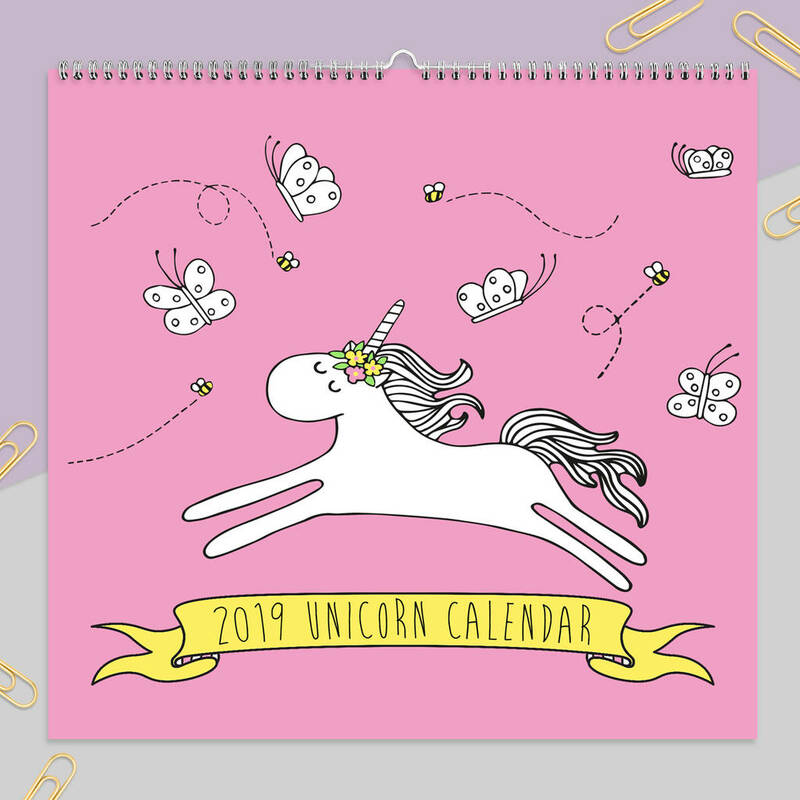 Each month features a different unicorn illustration and a fact about that unicorn. 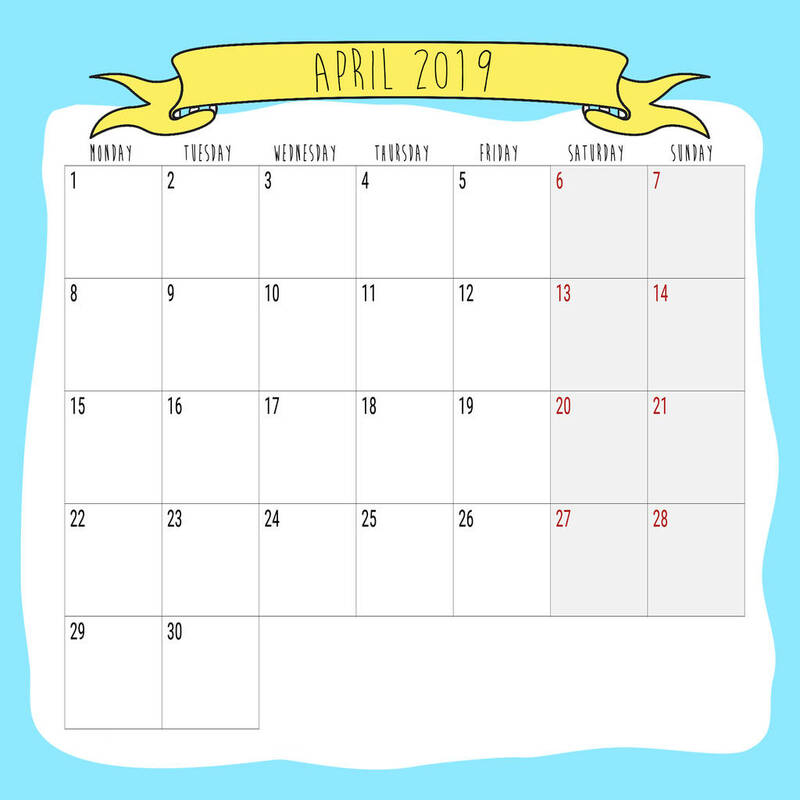 This calendar is spiral bound and suitable for wall hanging. It has been printed and bound in the UK. 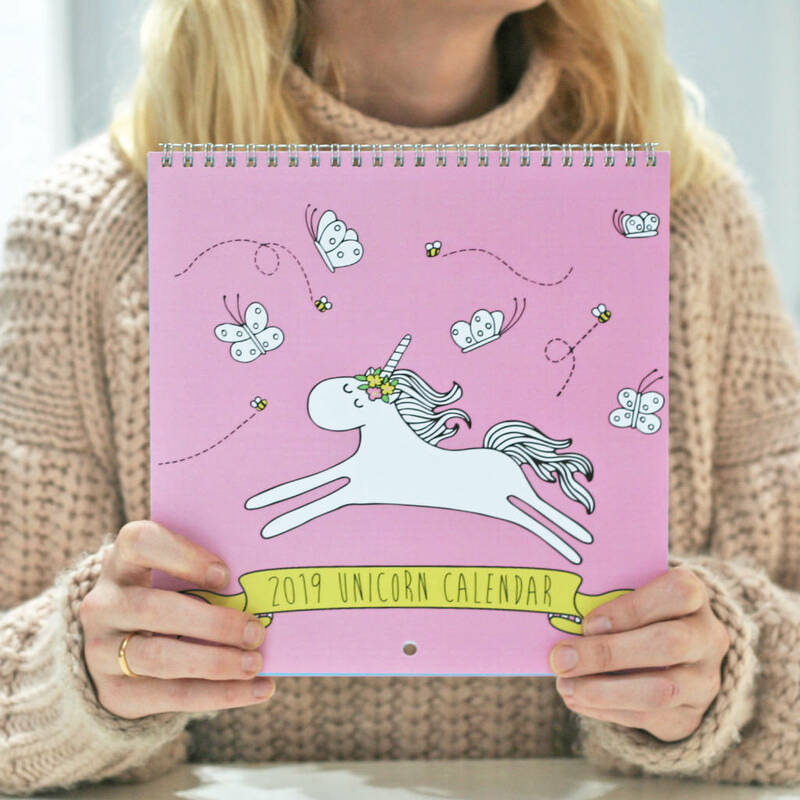 This unicorn calendar could be a great secret Santa gift or an unusual gift for someone who loves unicorns.